I can honestly say, I have no idea what I’m getting myself into here. I am not one who typically likes to drag projects out, but committing to actually finish something in my own house on a specific time frame somehow feels daunting. I have no idea if I can do it. I believe I can do it. At least, I think I can! I think I can! I think I can! Alright, let’s do it. It’s time to take the dream from paper to reality. Wait! what exactly AM I getting into, you ask? If you’re new to this, let’s stop and explain. The One Room Challenge is a six week interior design challenge where 20 featured designers and hundreds of guest participants grind it out to finish one room from top to bottom in record time. You’ve found my page, but check the others out here. Thank you to Linda, from Calling it Home, for putting all this together and teaching us that collaboration really is better than competition. Also, a huge shout out belongs to Better Homes & Gardens for sponsoring the event. At the end of it all their editors will be picking two of their ultimate faves to show off! This event really brings out colours and patterns that tickle the senses…I can’t wait to see what everyone comes up with. Thank you for stopping by! I hope we will become fast friends. I used to be skeptical of the world of social media connections, but now I realize that they are just modern day pen pals and some true soul connections I would be sad to live without. My name is Brittany; I’m the driving force behind Brit & Barclay Designs. I’m a farm girl with big city taste. I love patterns that stimulate and colours that play. With a major love of history, I am always inspired by old world values and the pretty things they made. I try to incorporate antiques at every turn and juxtapose them against what is modern and fairly glamorous. This is my first ORC, so I welcome all your cheers and trumpets! I may need them on the long nights. Ok, so they aren’t the best (she says with a gritted smile). But they get the point across. The basement here is pretty plain. 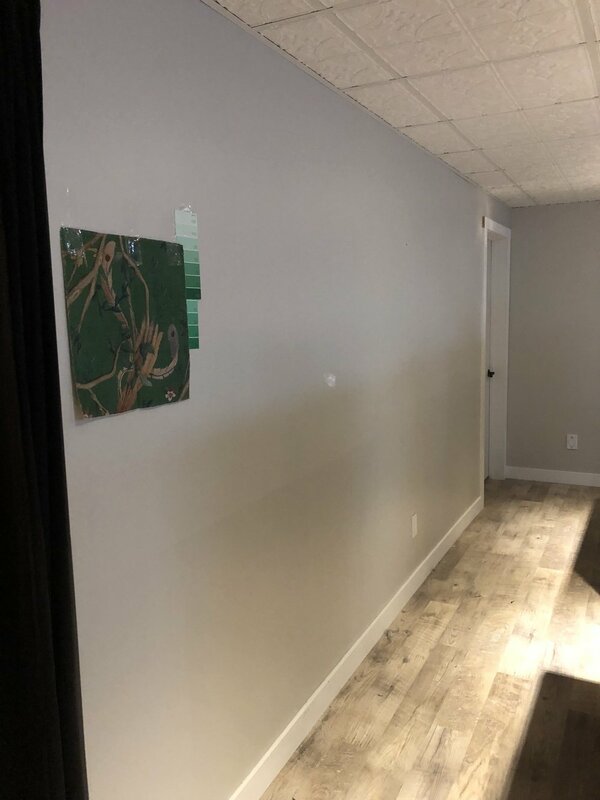 Grey walls with nothing exciting to show for it. Because I currently teach out of my basement, we desperately needed something practical to help dampen the sound between our main floor and our basement. Even though we insulated the crap out of it when we originally put up the walls and ceiling, sound still floated up and down because the stairs were open directly to the entrance and the kitchen (where most of the activity in our house takes place). So voila, we put up a solid wood door and it has worked WONDERS. But it still remains an eye sore being completely blank. This room is about to have a complete overhaul. I don’t want to feel blank or boring down here ANY. MORE. This is our mini cupboard under the stairs. It typically stores all our odds and ends and random bits. 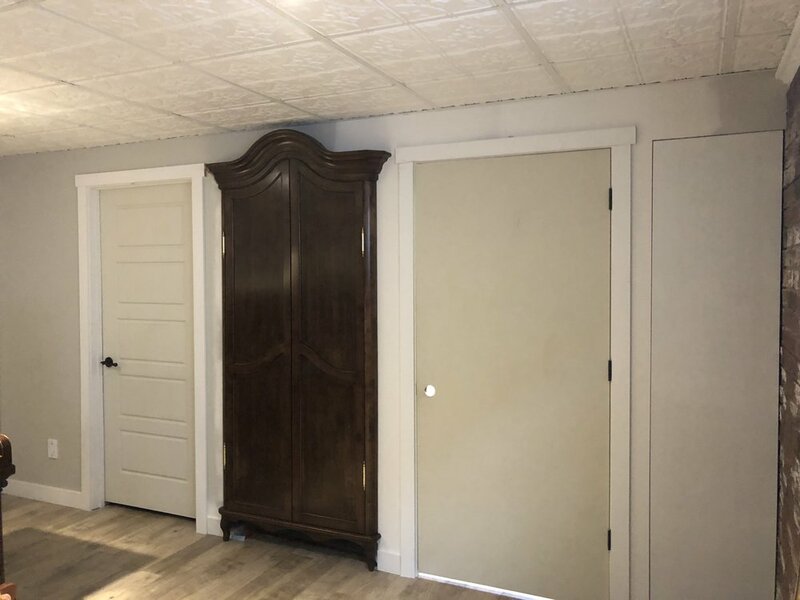 But I believe that storage is meant for the garage, so we’re going to change this up into the perfect playroom for kids. What you see here is all about to change! No more dull, no more boring, no more junkyard of disorganization. I’m going for a bold green that blankets nearly every inch of the walls. It’s going to be a good base going forward…especially since my wardrobe will lead into the the greatest imaginarium the world has ever seen (here’s hoping! lol). I’ve been obsessed with chinoiserie for a while, so we’ll definitely see some beautiful blue and white popping off against the green. Given that I’ve got an upright piano that is over 100 years old, I needed a colour that would look stunning with the mahogany in foreground. Then the gorgeous Carlucci di Chivasso fabric will add some practicality and beauty by acting as a partition between the main room and the spare rooms off to the side. I’m still playing with the rest of the colours, but know that I need something exuberant to fix my maximalist needs. Now, let’s talk about a place where dreams come alive. No, I’m not talking about Disneyland, but omg…I love that place. I’m talking about Neverland. The place where we stay young forever and the ticking crocodile can’t chase you. I’m talking about Middle Earth, where good always conquerors evil. 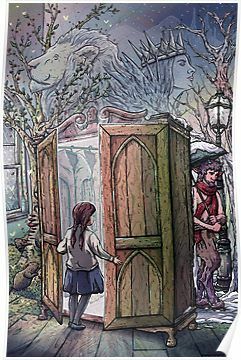 I’m talking about Narnia, where we learn that our worlds aren’t so different after all and we are protected by a great lion who isn’t tame, but is definitely always good. Right now this room is completely bare with a lot of work, especially if I am going to turn it into a place of enchantment where imagination takes flight. This is actually the part that scares me the most! WAH. How on earth am I going to live up to all my childhood dreams and imaginings?!?! There’s a reason that the movie is never as good as the book. Because as much as Hollywood has high tech graphics, it never replicates the image in your head. So here are some images that really inspired me in this design process and may give you a few hints as to where I’m going. Gah! Here’s the list of things I gotta get done in just a few short weeks. So fingers crossed. Here goes nothing. Let’s jump off this cliff together. Check back each Thursday to be updated on the progress or follow along on Instagram (@britandbarclaydesigns) for the daily dose of goodness.